!"#$%&'#$(%)& ! ! ! ! ! ! ! *+$,-& !"#$%&"'&($)(*$+,)''$"#-./+0#)$ ! ! ! ! ! ! ! .//0& ! ! ! ! ! broadly, of what the literary critic George Steiner identified in his book Language and Silence as “the quick of the human spirit.” The score bears the following epigraph, by Pablo Neruda (as translated by W.S. Merwin): "Your memory emerges from the night around me./ The river mingles its stubborn lament with the sea." 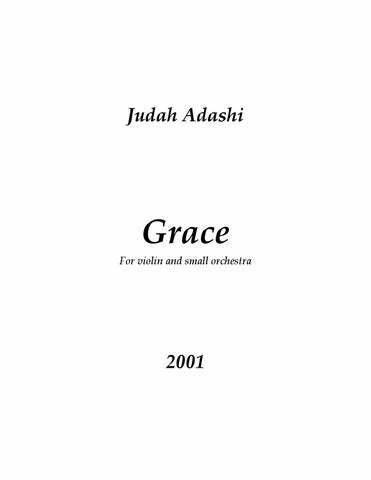 Grace was selected by David Zinman, music director of the Aspen Music Festival, to receive the 2002 Jacob Druckman Award for Orchestral Composition. 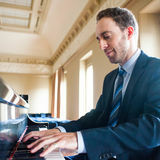 The work was also recognized with a 2003 ASCAP Foundation Morton Gould Young Composer Award. N.B. All diminuendo indications not followed by a dynamic marking signify dim al (quasi) niente. 3 & 4 a œœ ..
bœ 5 w 2 4 nœ œ bœ 4 œ #˙. œ 3 semplice, espr. 3 bO . 4 b ˙. ! 44 ‰ j œ œ ˙ espr. & 68 œ . ! 6 & 8 Œ. .
? 68 Œ . ? 68 œ . 6 œ œ œ œ 3 #œ œ 6 œ œ 3 8 œ œ 4 #œ œ 8 œ œ œ œ 4 #œ œ œ œ œ f ƒ 68 Œ .
? 6ˆ2 8 œ ..
œ. & 6ˆ2 8 œ. 68 n œ . œ. div. 68 œ- . 68 œ- . & 68 # œ . ! 6 & 8 Œ. B 68 ? 68 # ˙ . !
? 68 # ˙ . ! 7 8 œ. F 7 8 œ. A ˙. Ÿ~~~~~~~~~~ ˙ ˙. a œ #œ œ œ nœ #œ ! & 68 œ œ # œ œ . 68 j ‰ & 44 ‰ œj œ ˙ œ f N a 9 N ~~~~~~~ Ÿ~~~~~~ Ÿ~~~~~ N Ÿ~~~~~~~~~~~ > > a œ œ œ œ œ >œ 161 œ 4 J 6 J J &4 8 espr. 6 œ #œ œ œ nœ 3 8 œ œ œ 4 ˙. 43 ˙ . 43 ˙ . 45 5 4 ˙. 5 4 ˙. 4 & 4 œœ ## ˙˙ . .
. 54 n ˙˙ . 44 # #Xœ‚ ‚œ n ‚œ # # ‚œ !